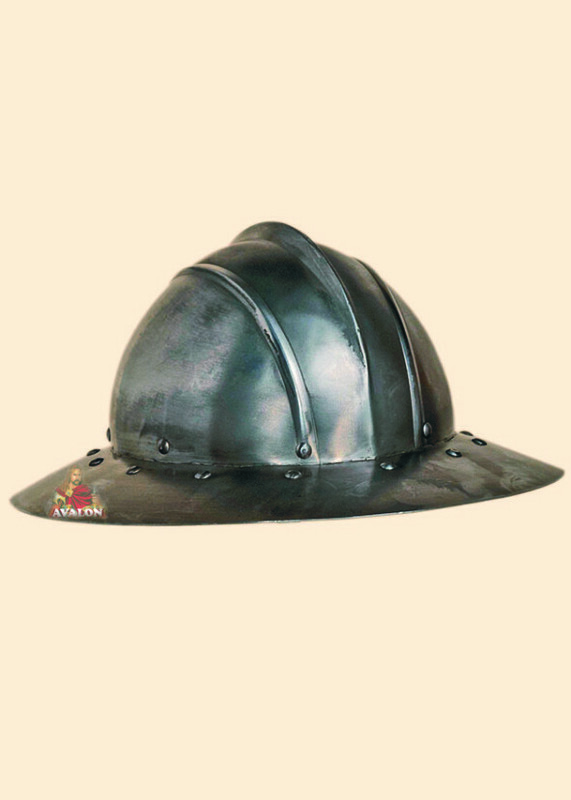 A kettle hat made of steel hat was common all over Medieval Europe,there are many design variations. It was worn by troops of all types, but most commonly by infantry. The Kettle hats were very popular with foot soldiers in Central Europe during the 10th and 15th century. 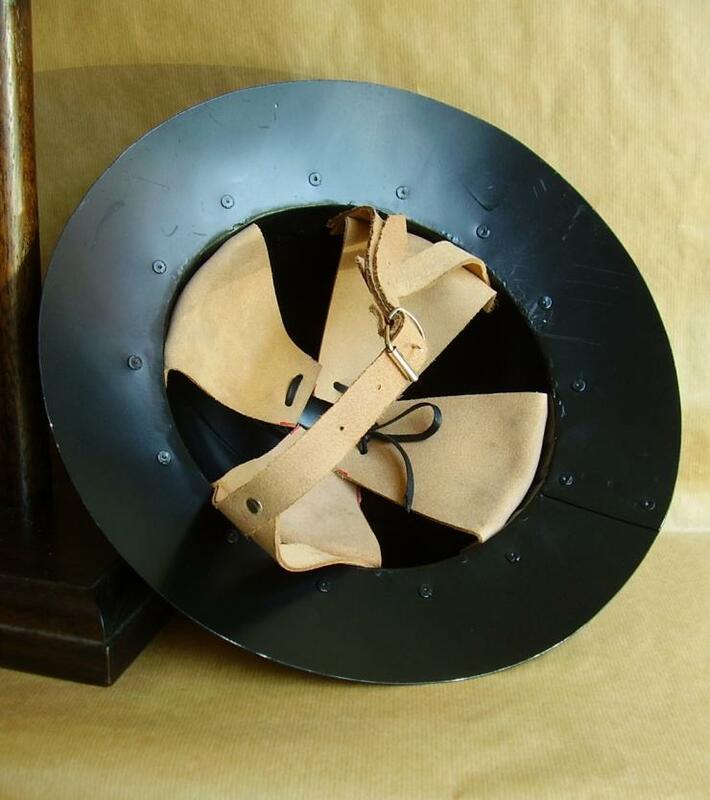 Kettle hats is produced by highly skilled artisans in Italy, equipped with leather straps and external adjustable buckles to be worn. Lorica Segmented, Typ Corbridge A, Roman armor developed since the first century AD and worn by legionnaires in..